Today we have a birthday interview again. We travel back to one of the most lovely nation... you know right, it's Estonia. We have interview with Kristel Vigipuu. BFH: First, we all would like to wish HAPPY BIRTHDAY to you and say thank you to accept our request, you have made us happy! How are you now, how goes your preparation? Kristel: Thank you very much for the birthday wishes!! I am doing fine and so far my preparation has gone fine also. Right now we are having a camp in Anterselva, Italy. It’s our first camp abroad, so it’s really good and refreshing to do trainings here. BFH: You had took part some races during your preparation. Are you statisfied with your performances or you felt some more effort in yourself? Kristel: Yes i took part of Biathlon cross European Championships in Haanja, Estonia. I’m not really satisfied with my performance because my shooting was bad- i shot many penalties in standing. But it’s summertime and these were my first competitions so i don’t worry about it. BFH: You already have experiences from Olympic Games. You were one of the Estonian biathletes in Vancouver in 2010. How did you feel yourself there? You were only 19 years old. Kristel: I felt good to be on the Olympic Games! It’s been one of my dreams to reach there and for me it happened when i was 19. I think because of that i didn’t have much pressure on me, everyone told me to do my own competitions and enjoy it. BFH: What do you think, could your olympic memories help you on the hard way to Sochi? I think your participation in the next Winter Olympic Games is your absolutely main goal to your next season. How do you see your chances? Kristel: Yes think my Olympic memories are helping me, i know what the Games are like and that i would really-really like to compete there again. Chances...Our nation can send 4 women to the Olympics and 5 athletes are fighting for the tickets, So i think it’s not impossible. BFH: You didn't start in any competition in Sochi last winter, and lot of athletes said it's one of the hardest place in the world. What do you think is it right, or fortunately you like this type of tracks? Kristel: I didn’t take part of any World Cup competitions in Sochi because i wasn’t there. But I watched the races from TV and heard many athletes opinion that Sochi tracks are crazy hard, some of them even told that they’re not sure they’d like to go to the Olympics anymore. So i don’t know yet if i like those tracks, I have to see them with my own eyes and ski there before i can answer this question. BFH: Unfortunately in the last season you couldn't earn any World Cup points, but it could be change in the next winter. What'll be your main goal in the next World Cup season by the Olympic participation? Kristel: My last season was bad, i did only few normal competitions. So i haven’t put any main goals yet, but sure i want to have much better season and earn World Cup points again! BFH: Are you planning to start in any competition before winter? Kristel: Yes i am, We have Estonian Championships in September on rollerskis and first snowcamp comps in Finland. Both of these are control competitions who’s going to the first World Cups. BFH: Now, please tell to us something about the beginnings. When did you start biathlon and why? 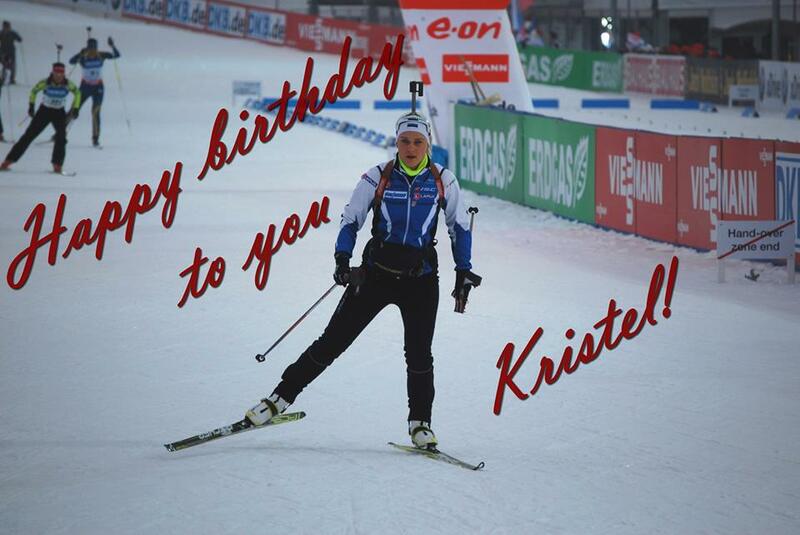 Kristel: I started with biathlon ten years ago when i was 13 years old. My brother started with biathlon first and then i thought i’d like to try also, so one day i went with him to our Ski Club. People were nice and friendly, Coach was kind and i liked the atmosphere, these were the first reasons why i started to do biathlon. But when i learned to ski and got to shoot with rifle first time- i had new reasons...i just started to love this sport!! BFH: How do you motivate yourself during races and trainings day by day? What is your biggest dream in your career? Kristel: I do what i love to do and that’s what motivates me. I don’t talk about my dreams out loud but i would really like to do and achieve something big! BFH: Biathletes are very busy, they haven't got so much free times, but if you have some... what do you usually like to do? Kristel: If i have free time i try to get together with my friends- catch up with them, have a car trip in Estonia and do something fun together. 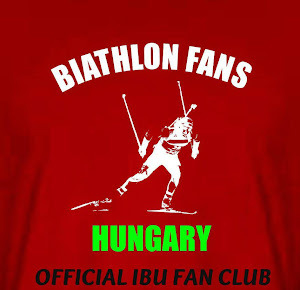 BFH: I think Biathlon Fans Hungary is one of your team's biggest supporter. Have you got some special message to us and to the other Hungarian fans? Kristel: I’m really happy that we have fans in Hungary and that you find time to make these interviews. So keep on doing it, enjoy life and be happy!! Thank you the interview, we wish you the best!